Continuously setting the benchmark in the fashion industry, Hameedia Sri Lanka in partnership with Colombo Fashion Week will be dazzling up the runway at ASIAN Fashion Week (AFW®). Hameedia will unveil its stylish FH Collection at the AFW® show which will take place in Surabaya City, Indonesia from 15 -18 August 2014. Hameedia has been a driving force in the local fashion industry and has partnered with HSBC Colombo Fashion Week and HSBC Colombo Fashion Resort Wear Shows for the past 11 years. Known for crafting distinct looks and collections for men, Hameedia has also made its mark globally by representing Sri Lanka at prestigious regional events such as Karachi Fashion Week. AFW® is dedicated to enhancing the cultural exchange between designers and celebrates Asia’s diversity whilst making fashion a universal language. AFW®’s mission is to establish itself as a major fashion movement for fashion designers, providing a platform for them to optimize their international exposure and global reach. Hameedia joins CFW’s venture to build and promote the country’s fashion industry and will be taking part in the AFW® show alongside five other Sri Lankan designers. Hameedia’s will showcase three different looks at the AFW® show, each drawing inspiration from the colour theme of blue. The first look will be a vibrant print collection featuring natural fabrics like cotton linen and denim with innovative digital and laser prints. The second look will be smart and casual, it will use different types of linen and subtle colours to convey a chic Italian feel. The third look will be Hameedia’s ceremonial collection which blends quality fabrics with clean tailoring to ensure the best of formal elegance. Hameedia has contributed towards the development of menswear fashion in Sri Lanka for decades and is recognized as a mover and shaker in the industry. 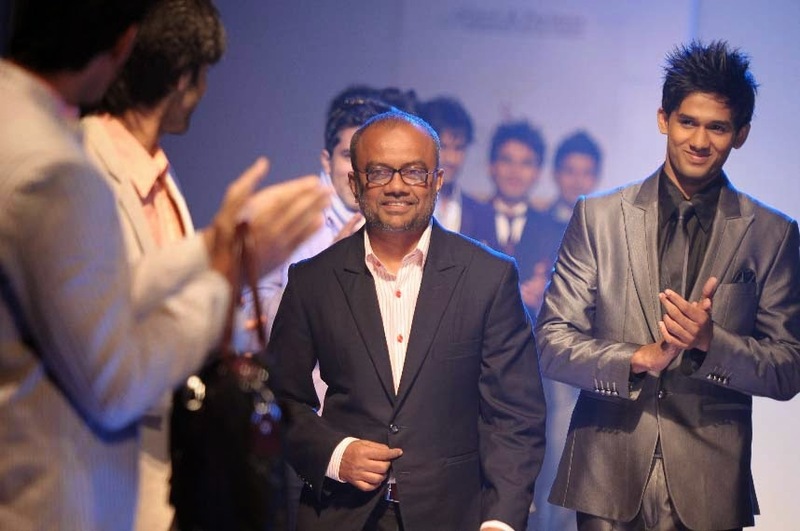 Hameedia remains dedicated to uplifting men’s fashion in Sri Lanka and recently launched ‘Concept2014’ to help reach new heights in the menswear area. ‘Concept2014’ was a fashion show of international class, conceptualized by Fouzul Hameed and it showcased a range of exclusive clothing collections, designed to transform the man of yesterday into the man of tomorrow. A total of 10 collections from FH Studio were shown, each offering a range of looks including casual, sporty, ethnic, fusion and formal.